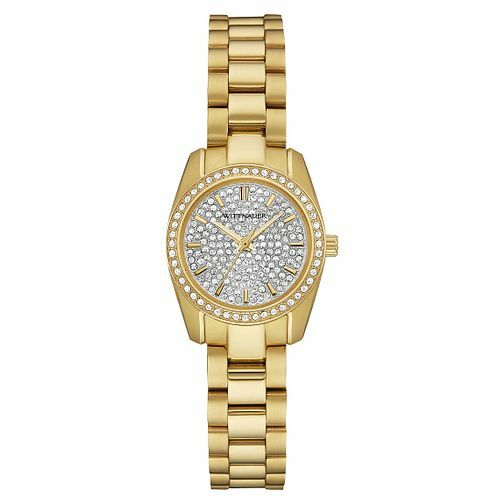 This soft gold-plated timepiece is a great accent for any outfit. The warm hue of the gold is contrasted with gleaming crystals around the bezel and on the dial. The water resistance of this piece is 50m ensuring the wearer can concentrate on looking dazzling whilst having a practical watch for everyday.